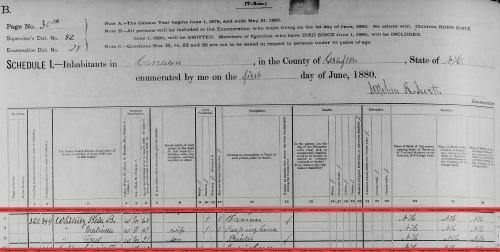 COLBY FAMILY & OTHERS at http://freepages.genealogy.rootsweb.com/~colby/colbyfam, /d177.html. 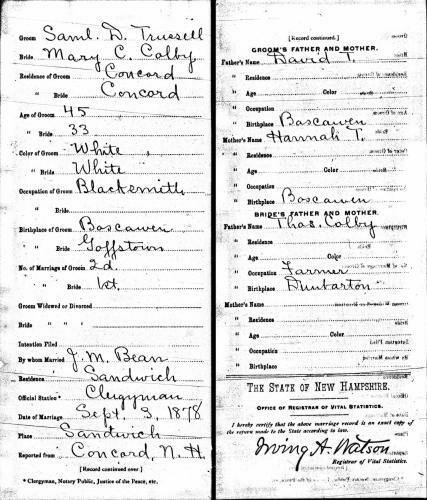 "New Hampshire, Birth Records, Early to 1900," index and images, FamilySearch (https://familysearch.org/pal:/MM9.1.1/FL22-69L : accessed 02 Jan 2013), Boynton, 11 Apr 1879. 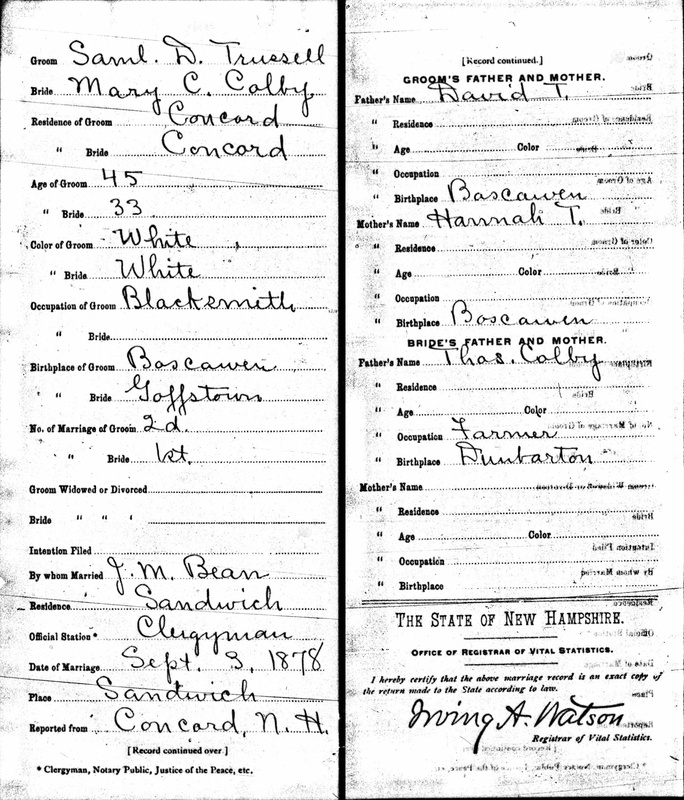 "New Hampshire, Birth Records, Early to 1900," index and images, FamilySearch (https://familysearch.org/pal:/MM9.1.1/FLPX-JRF : accessed 07 Nov 2012), Tirrell, 03 Sep 1881. 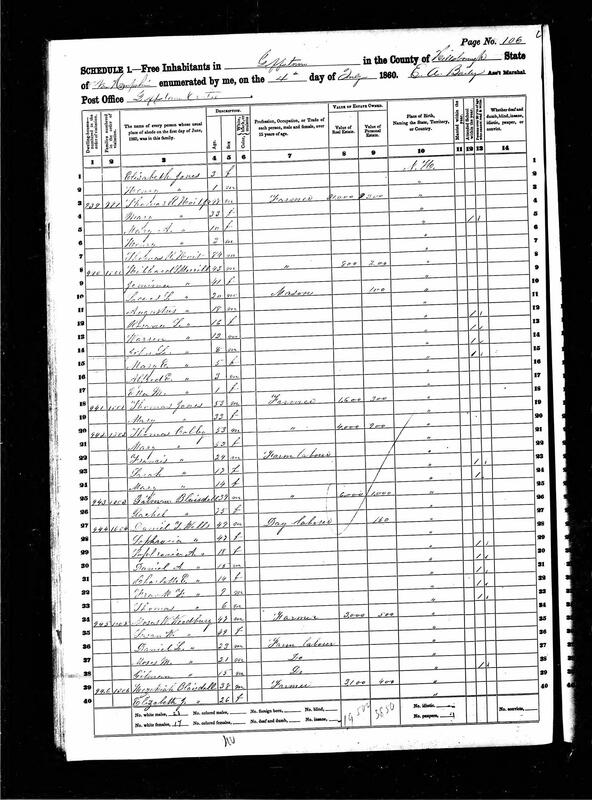 "New Hampshire, Marriage Records, 1637-1947," index and images, FamilySearch (https://familysearch.org/pal:/MM9.1.1/FLXW-RGQ : accessed 07 Nov 2012), Jesse W. Tirrell and Lillian G. Kirby and null, 1893. 1900 United States. Census Office. 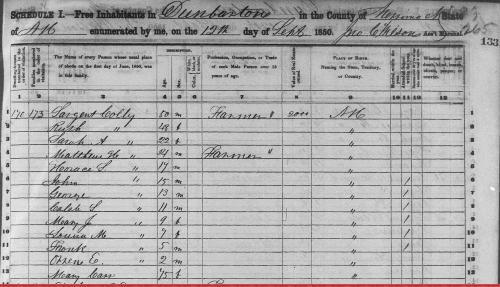 12th census, 1900 population census schedules, Washington, District of Columbia: Bureau of the Census Micro-Film Laboratory, ([197-]) , Census Place: Weare, Hillsborough, New Hampshire; Roll: T623 948; Page: 14A; Enumeration District: 137. "Massachusetts, Marriages, 1841-1915," index and images, FamilySearch (https://familysearch.org/pal:/MM9.1.1/N462-8JY : accessed 15 Dec 2012), Henry J Tirrell in entry for Theodore Rosenbaum and Ruth A F Tirrell, 1913. 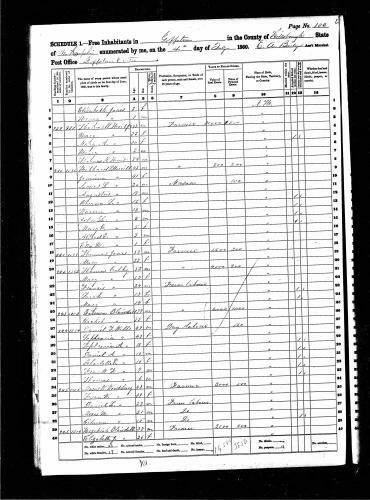 "Texas, Deaths, 1890-1976," index and images, FamilySearch (https://familysearch.org/pal:/MM9.1.1/JDFC-7DZ : accessed 07 Nov 2012), Jesse W. Tirrell, 03 Feb 1944; citing reference cn 8744, State Registrar Office, Austin, Texas. 1880 United States. Census Office. 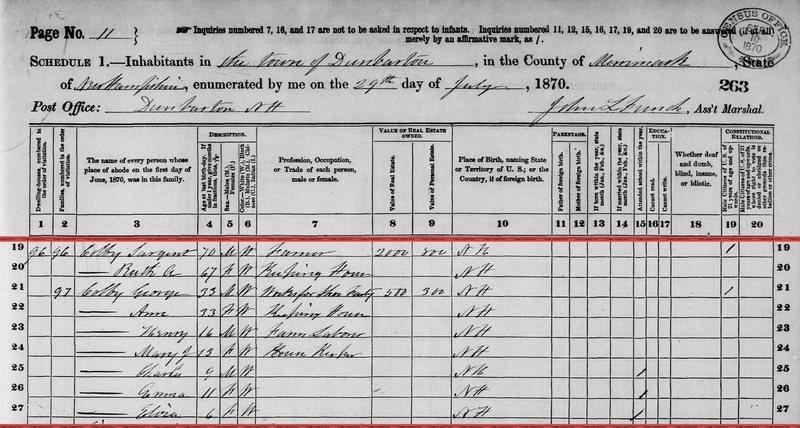 10th census, 1880 federal population census, Washington, District of Columbia: National Archives and Records Service, ([19--]) , Census Place: Lebanon, Grafton, New Hampshire; Roll: T9_765; Family History Film: 1254765; Page: 323.1000; Enumeration District: 93; Image: 0367. 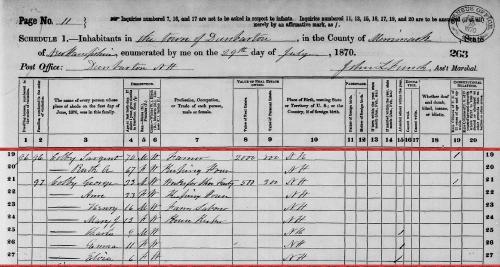 "Vermont, Vital Records, 1760-1954," index and images, FamilySearch (https://familysearch.org/pal:/MM9.1.1/XFVF-5L6 : accessed 22 Dec 2012), Matthew L Colby and Irena Harvey, 1852.
living at Hooksett, Merrimack County, New Hampshire. 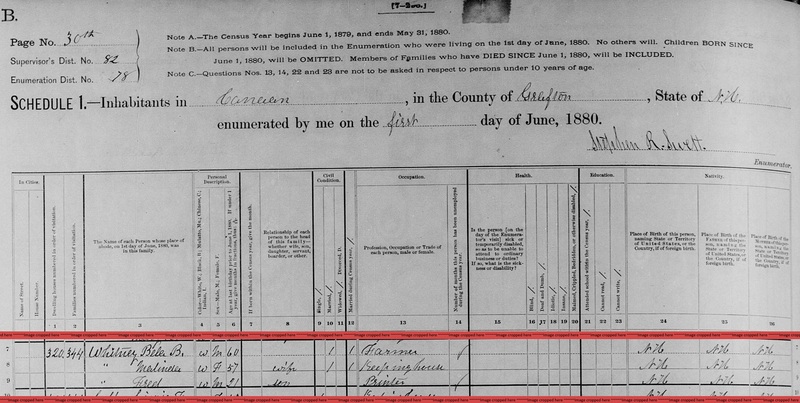 "New Hampshire Marriages, 1720-1920," database, FamilySearch (https://familysearch.org/ark:/61903/1:1:FDKH-1LC : 31 December 2014), Nathan Cate and Maxamilla Colby, 08 Sep 1836; citing reference P 90; FHL microfilm 16,100.